Is A New 510k Required For A Modification To Your Medical Device? Is a new 510k required for a modification to the device? As described in 21 CFR 807.81(a)(3), a new complete 510(k) application is required for changes or modifications to an existing device, where the modifications could significantly affect the safety or effectiveness of the device, or the device is to be marketed for a new or different indication. When a 510(k) holder decides to modify an existing device, the holder must decide whether the proposed device modification(s) requires submission of a 510(k). It is not FDA’s intent that a 510(k) must be submitted for every modification. However, all changes in indications for use require the submission of a 510(k). A change in indication for use includes prescription use to over the counter use. Deciding When to Submit a 510(k) for a Change to an Existing Device provides guidance to 510(k) holders on deciding when to submit a 510(k) for a change to an existing device. FDA believes that the 510(k) holder is best qualified to determine when modifications to their device could significantly affect safety or effectiveness. Therefore, every modification to the device should be reviewed by appropriate personnel to determine if it affects safety or efficacy. Any design or labeling change to a device should be evaluated and documented in accordance with the 21 CFR 820, Quality System regulation. If it is determined that the modification is not significant, the basis for this decision should be documented with supporting data in the 510(k) holder’s device master file. If it is determined that the modification is significant, a new 510(k) must be submitted to FDA. There are no provisions for a 510(k) amendment or supplement to the existing 510(k). A new 510(k) must be submitted. However, FDA developed a streamlined 510(k) process for modifications to a device cleared under 510(k), called the Special 510(k). I would like to distribute a manufacturer’s product under my own company name. Do I need to submit a 510(k)? No, the manufacture should submit the 510(k), if required for the device. As required under 21 CFR 801.1(c), where a device is not manufactured by the person whose name appears on the label, the name shall be qualified by a phrase that reveals the connection such person has with such device; such as, “Manufactured for ABC Company,” “Distributed by ABC Company,” or any other wording that expresses the facts. The distributor should forward all product complaints to the manufacturer for evaluation in accordance with 21 CFR 820.198 Complaint files. Can foreign companies submit a Premarket Notification 510(k)? Yes. The foreign manufacturer may submit a 510(k) directly to FDA. For convenience, a foreign manufacturer may receive assistance from a U.S. entity and may use a contact person residing in the U.S.
Do I need to register my facility before I submit a 510(k)? No. If you are a new company and do not manufacture any medical devices, you should not register until you are within 30 days of manufacturing and distributing the device. The 510(k) submission should state that you are not currently registered. Information on how to register your facility is available at Registering Your Establishment. Do I need to provide documentation that my facility complies with the Quality System in my 510(k)? No. However, if you are submitting a Special 510(k), you must provide declaration of conformity with the design controls aspect of the Quality System. Do I need to have my facility inspected to the Quality System regulations before I submit a 510(k)? No. There is no pre-approval inspection as a prerequisite to 510(k) clearance. However, you should be prepared for an FDA inspection at any time. 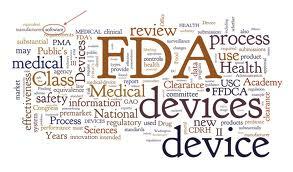 Any medical device that is legally in the U.S. may be exported anywhere in the world without prior FDA notification or approval. The device must be manufactured in accordance with the Quality Systems (QS) Regulation of 21 CFR Part 820 (also known as Good Manufacturing Practices or GMP), unless exempted by regulation. 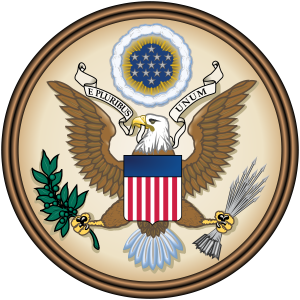 In addition, the U.S. exporter must comply with the laws of the importing country. Please note that U.S. manufactures that export medical devices outside the U.S. are required to register their facility and list their devices (21 CFR 807).